WASHINGTON (AP) — Black Americans, adult men and those with just a high school diploma made notable gains in the job market in November. The jobless rate for black Americans fell to 5.9 percent, matching a record low hit earlier this year. Meanwhile, the unemployment rate for adult men came in at 3.3 percent. That’s the lowest level since October 2000. With the jobless rate so low, employers have complained this year about the difficulty of finding workers to fill jobs. That’s helping those with lower education levels. The jobless rate for those with only a high school diploma fell to 3.5 percent, the lowest level since December 2000. 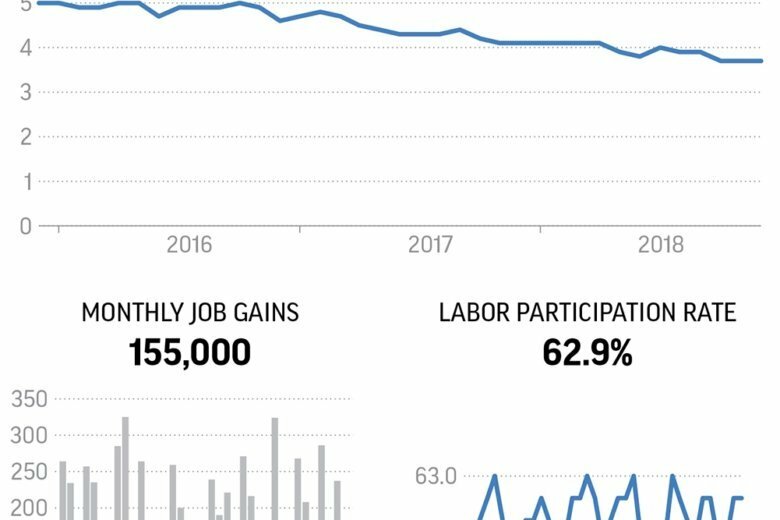 All told, employers added 155,000 jobs in November. The unemployment rate held steady at 3.7%.